I was delighted to read that a Canadian casualty of the Great War whose remains were found by construction workers near Avion in 2003 have now been identified using DNA. The man, a 28-year-old Irish immigrant 183425 Private Thomas Lawless, 49th Battalion (Alberta Regiment), Canadian Expeditionary Force was killed in a raid on the German lines on 9 June 1917. Press reports indicate that his remains, along with those of 808723 Private Herbert Peterson of the same battalion, were discovered during a road-building project. Private Peterson’s remains were positively identified in 2007 and were buried with full military honours at La Chaudière Military Cemetery in Vimy in the same year. It took six years of research and testing before forensic scientists and DNA specialists could positively identify Thomas Lawless. The remains of both men had been returned to Canada because metal insignia identified their battalion and nationality. The story has been covered in the Canadian Press. Links below to the Edmonton Journal and The Vancouver Sun. 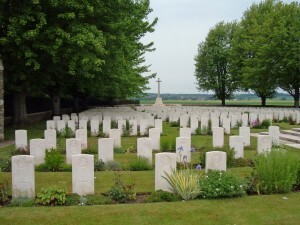 Thomas Lawless’s details are recorded in the CWGC register HERE. Interestingly he is reported as being buried in La Chaudière Military Cemetery in Vimy, despite the service not taking place until 15 March 2011. The service will take place with members of his Irish family in attendance. 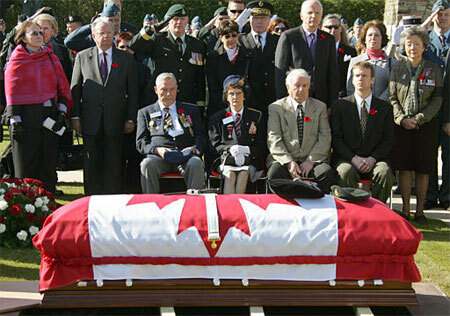 The Government of Canada, the Department of National Defence and the Canadian Forces are dedicated to honouring those who have made the ultimate sacrifice by ensuring that, when possible, they will be identified and buried in a known grave. Nearly 28 000 members of Canada’s Army, Air Force, and Navy who died in the First and Second World Wars and the Korean War have no known or maintainable grave. The majority of these service personnel – approximately 19 500 – went missing in France and Belgium during the First World War. Every year, some of the formerly missing are discovered, and the Department of National Defence is responsible for using historical and scientific methods to determine their identity. Identification is the result of a collection of historical research and biological tests which eventually determine the most likely serviceman. 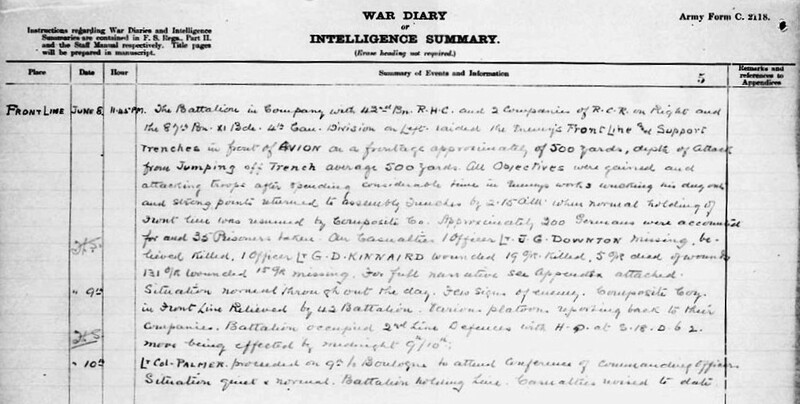 The first step in identification is to search records, such as military personnel records, burial registrar records, war diaries and maps, and regimental histories to create an historical profile of the unknown person. Purely historical identifications are rare, however, and DND usually seeks biological evidence to support other documents. Biological anthropologists study the remains to determine the number of persons, their ages and heights, their dental health, their overall health and if possible, clues as to how they may have died. The resulting profile can further reduce the final list of candidates, and genetic testing of the remaining candidates can lead to an identification or reduce the candidate pool further. Genetic testing of war remains requires that DNA be extracted from bone or teeth and then compared with genetic material donated by the descendents of the candidates. Unfortunately, the use of DNA, while a method which has made identification more likely, can be limited by the availability of donors and the difficulty of extracting viable DNA from older remains. More recently, National Defence has used stable isotope technology to help differentiate the origins of candidates. By using the regional properties of certain elements to track the mobility of an individual, stable isotope technology can detect the locations in which an individual has been raised (to the age of approximately 21) and the locations in which an individual lived in the final ten to fifteen years of their lives. Such testing allows DND to exclude candidates based on where they were raised or where they lived prior to enlistment. No doubt new technologies and increased access to historical documents will further enhance the precision and ability to identify Canada’s unknown soldiers, sailors and airmen and airwomen. I think this is a great job by the Canadians and shows what can be done with some dedication and by providing the necessary budget. My congratulations go the Canadian government but also to the unsung heroes – the many professionals whose collaborative efforts in freely offering their time made this historical identification possible. Now, owing to their efforts, Private Lawless can finally rest in peace in a named grave. It would be wonderful if a similar effort was found in providing positive ID to the bodies of fifteen men from the York and Lancaster Regiment who were found in the French village of Beaucamps-Ligny in November 2009. This entry was posted on Friday, February 25th, 2011 at 10:24 am	and is filed under News from the front. You can follow any responses to this entry through the RSS 2.0 feed. You can leave a response, or trackback from your own site. Still fascinates me to know they can still identify remains after all this time. Having just returned from a stay in Ypres where we revisited Fromelles Pheasant Wood Cemetery it is good to know that there are those who still feel it a worthwhile task. I have 2 photos of soldiers that enlisted in World War One from a small village in Mb. No one can identify them as there might only be military records of it. I don’t know who they are but would like to know if there is a web site that deals with older photos of soldiers that exist, but no one knows where they would up and who’s family is it. Can you help me get a web site to show the photos and possibly search the military records? I would appreciate a response, and thank you.